Besides lounging on a sandy beach all day, what are some other things to do in Wollongong? Here are 11 things to cross off your list. The coastal road through the Illawarra’s northern beaches is a favourite of day-trippers and car commercials alike: the highlight is the Sea Cliff Bridge, which juts out into the water between the towns of Clifton and Coalcliff. 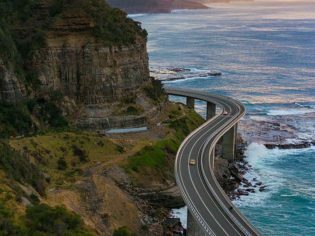 The best part is you can do the drive in a loop from Sydney – follow the road as it hugs the coast from Bulli all the way through to Stanwell Park, then drive back to Sydney via the national park. Beautiful mod Oz food in a charming Austinmer street of miner’s cottages. You’re spoiled for choice when it comes to rock pools, ocean baths and beaches, favourites for families and picnickers. Try Thirroul’s free, Olympic-sized ocean pool for laps, Wombarra’s hidden baths for a private swim, or Austinmer’s pools for a dip with a view.